At the UNFCCC COP19 in Warsaw this week, a new programme was launched under the auspices of the World Bank: The BioCarbon Fund Initiative for Sustainable Forest Landscapes (ISFL). The initial funding amount is set at $280 million USD. Norway has pledged up to $135 million to the initiative, Britain $120 million and the United States $25 million. The fund also hopes to attract further private and public funding. 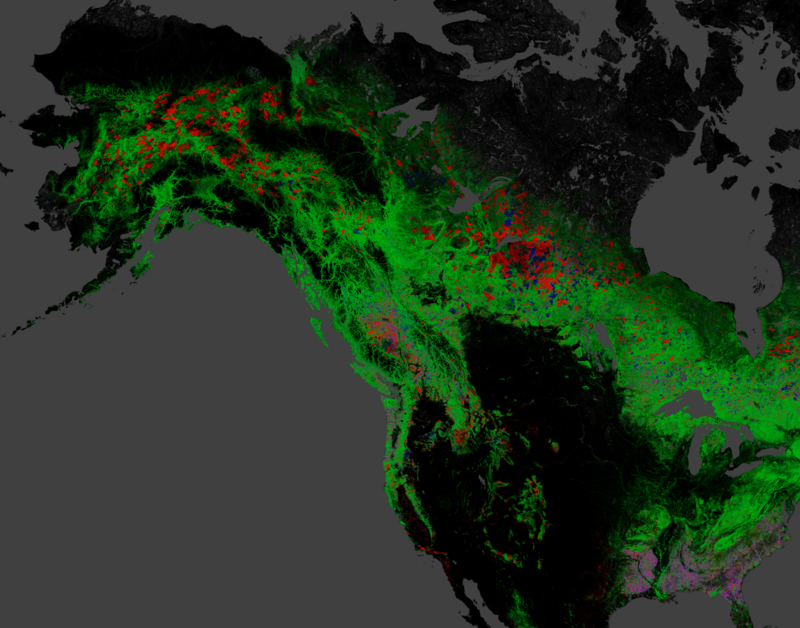 I thought it would be an interesting exercise to use the Global Forest Change tool released this week to look at forest change in each of the contributing countries, also in relation to their contribution to this new initiative. 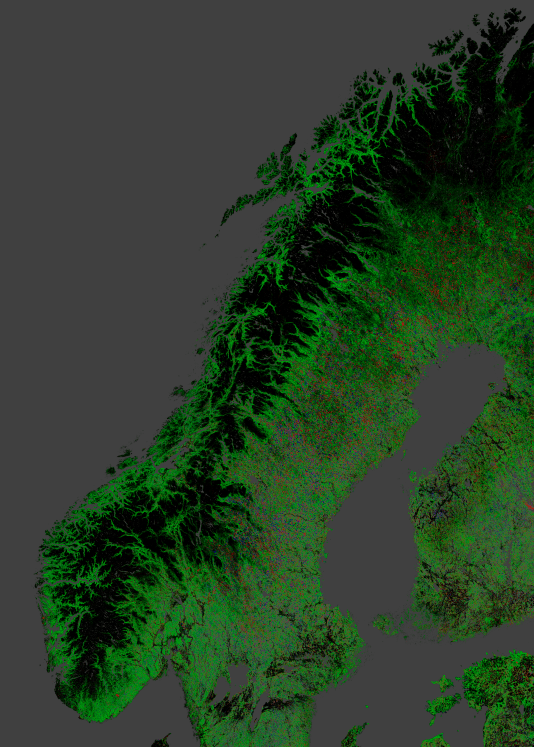 Forest change Norway 2000-2012. The blue and red colors indicate net forest gain and loss, respectively. The colors here are almost exclusively seen on the Swedish side of the border. Norway does not rank among the top 50 nations in terms of deforestation, Sweden ranks 13th. The deforestation culprit in question is, by and large, commercial agriculture in regions including Latin America; subsistence and commercial agriculture contribute equally to an estimated two-thirds of deforestation in other areas like Africa and subtropical Asia. 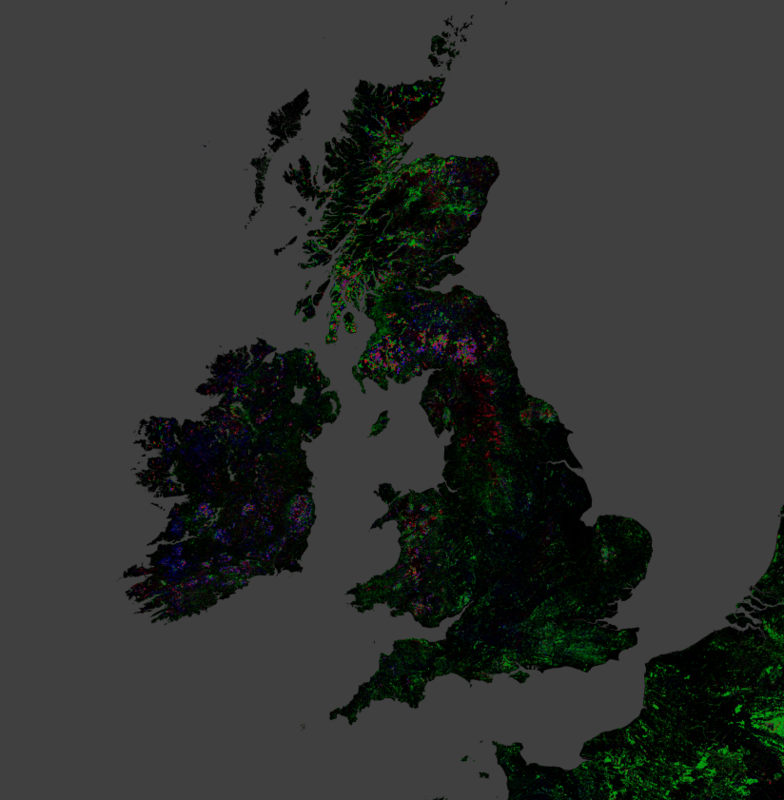 Forest change in the United Kingdom 2000-2012, which is not among the top 50 nations in terms of forest loss.